Elks go fly a kite, up to the highest heights! 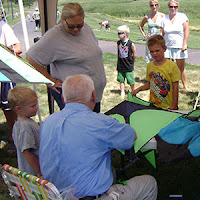 To teach children about fun and safe outdoor activities, Pierre, S.D., Lodge No. 1953 used an Elks National Foundation Promise Grant to teach local youth this classic activity. 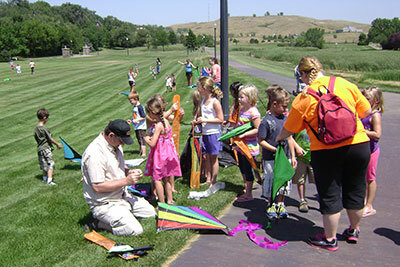 Elks helped more than 200 kids assemble their own kites and release them into the clear blue sky. The youth—and their kites—were lighter than air as the Elks taught them the ins and out and ups and down of flying a kite. The Promise Grant enabled the Elks to start a healthy trend for local youth.